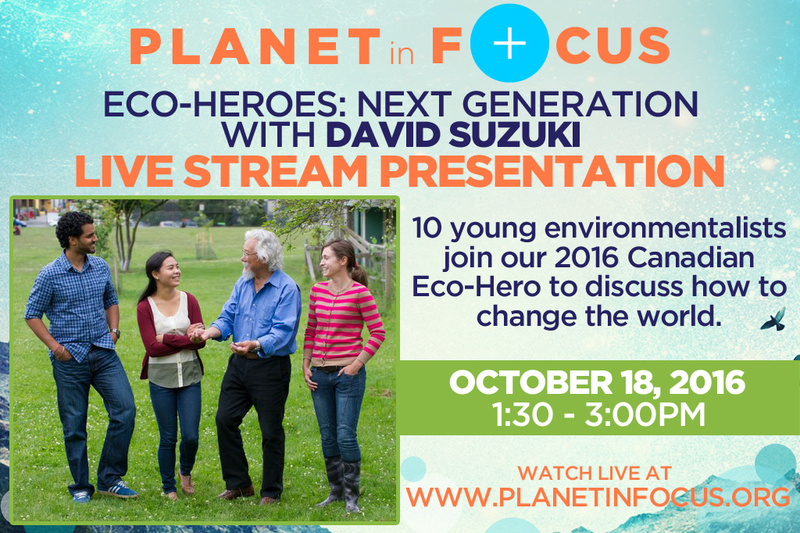 David Suzuki and 10 Next Generation Eco-Heroes met to discuss how to change the world. 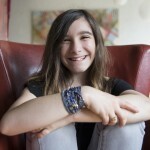 Hannah Alper launched her blog, CallMeHannah.ca, at nine years old, to share her growing concern for environmental issues and show that small, everyday actions can lead to big change. She has since emerged as an impassioned public speaker and has shared her optimism on the WE Day and TEDx stages. 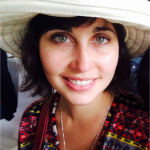 Engaging her audience on social media, Hannah uses her voice to motivate and empower people of all ages to identify their passion and take action for a better world. Her journey as a youth activist shows that when it comes to leading social change, there is no such thing as “too young”. Born and raised in the southern France, I fell in love with exploring all the Mediterranean Sea had to offer, and I deeply connected with the underwater world. At the early age of 12, I decided to undertake my first feature film, A Sweet Spot in Time. This co-production with undersea explorer and producer Fabien Cousteau, features world-renowned personalities including Canadian astronaut Chris Hadfield, social media phenomenon Prince Ea, and National Geographic oceanographer Dr. Sylvia Earle. This environmental film is a call to action for the people of today, to fix the mistakes of humanity’s past and save the future of tomorrow’s children. It is set for release in 2017. After receiving an Environemntal Filmmaking award sponsored by Prince Albert II Of Monaco, at the age of 14, I co-directed The Fight for Bala with Canadian Sharkwater director Rob Stewart. It was released with The Huffington Post with support from National Geographic and The Globe And Mail. Following the release of the film, I was called ‘The whiz kid at the forefront of filmmaking in service of the preservation of the planet’ by National Geographic’s Scott Wallace. Also a certified scuba-diver, I serve as the North American Director of the Ocean Ark Alliance, a group composed of Emmy and Oscar-winning filmmakers using film as a tool to protect the world’s oceans (The OAA’s work has been featured on Netflix, the BBC, in Leonardo DiCaprio’s Before The Flood, and even on The Nature Of Things). In addition, I am a partner of Mission Blue, and I have served as a judge for a United Nations and IUCN global competition. As a 16-year-old who is deeply concerned for his future, I always try to find news ways to help protect the environment and the world we depend on for survival using my passion for entertainment. Waynaboozhoo, miigwanehsiik nidizhnikaaz waabeshayshi ndodem Toronto ndindaa. Hello, My name is Little Feather, I am Marten Clan, and I live in Toronto. My family roots are in Manitou Rapids, Treaty 3 Territory in Northwestern Ontario and Europe. I am a visual artist, storyteller, traditional knowledge carrier and proud Anishinaabe Oshkiniikwe. I enjoy dancing, making things, learning about traditional medicines and supporting youth access mental health and addictions resources. In my personal and prod connecting with community members to promote Indigenous healing, arts, culture and education. 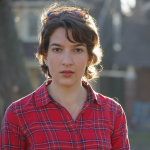 Amanda spent last summer working for 350.org on the People’s Climate Plan, a national campaign to engage people in the federal climate town halls and demand ambitious climate action in the government’s forthcoming national climate strategy. Amanda is currently working with youth across the country on Climate101, a civil disobedience action to take place October 24th to call on Trudeau to reject the Kinder Morgan pipeline. 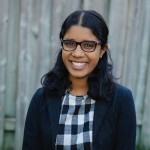 Arani Kulamurugan, a grade 11 student at Marc Garneau CI, has been heavily involved in environmental rights since grade seven. 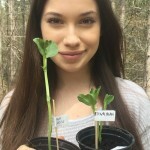 In grade nine she joined Ontario Nature’s Youth Council, and got the opportunity to intern at Ontario Nature as the Youth Pollinator Conservation Intern. Most of her work pertains to advocacy and educating the public about Ontario’s wild, natural pollinators, and advocating for the strengthening of Ontario’s Bill of Environmental Rights. In addition to this, Arani recently gave a presentation to TDSB teachers about a possible Pollinator-focused curriculum that they could add to their classroom. Arani’s work doesn’t stop with making change, but also getting other citizens involved. Her current goal is to get four more cities involved in the Bee City Program, to continue to learn from others, and inspire some people of her own to take action to protect the environment in their community! Co-Founder and Artistic Director of Broadleaf Theatre, a company that creates theatrical work based on local, national and global environmental issues. My driving goal is to merge the worlds of theatre and environmental activism. I’ve created work based on the national boil-water crisis, the Pickering nuclear plant, I’ve collaborated on an environmental mask piece that animated the Green Peace Warehouse, and I’m currently working to tour Broadleaf Theatre’s work to schools; create an environmental storytelling week in Waterloo in 2017; create a documentary theatre piece on Aamjiwnaang activist Vanessa Gray. Ruth is currently completing a bachelor degree in Environmental Studies and Conservation Biology at the University of Toronto. During her time at UofT Ruth has helped increase awareness of environmental issues among students through the “It’s Greener Here” campaign and the “Veggie Mondays” program, which later received the U of T Green Ribbon Award for contributions to sustainability. Ruth is also involved with the Yellowstone to Yukon Conservation Initiative, working to protect the ecologically vital Flathead River Valley in British Columbia. This past summer, Ruth worked for Parks Canada in Waterton Lakes National Park, as an Ecological Monitoring Technician collecting field data for conservation purposes. When Ruth manages to spend time indoors, she enjoys cooking, playing squash and writing fiction. A 14 year old high school student, Asha Mior balances school and homework with working to make the world a better place. When she was in Grade 5, Asha became interested in climate change while working on a school project. She founded a Go Green club at her elementary school, but Asha soon decided to share her passion and concern for environmental issues with the world. In 2013, she launched her blog, Asha for the World. Since then, her relatable, easy to understand articles have been featured in classrooms to help explain environmental issues to children. Asha is also a contributing blogger for the Huffington Post. In the summer of 2015, Asha launched an initiative called the BrownGrassRevolution, to raise awareness of the importance of water conservation. The objective was to encourage people to stop watering their lawns during the summer months. 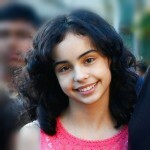 Asha also enjoys producing short films and videos. One of her recent films, entitled “Air Pollution: Toxins in Car Exhaust” was awarded Top Overall English Video in the EduTOX video challenge. Rachel Parent Age 17, she is an Environmental youth activist, vocal advocate for social justice, youth health, animal rights and responsible consumption. She is thefounder of Kids Right To Know and for the past five years she has positioned herself as a strong Mandatory GMO Labeling advocate. At age 14, Rachel debated celebrity Host Kevin O’Leary and Amanda Lang on CBC Television.https://youtu.be/HIXER_yZUBg . 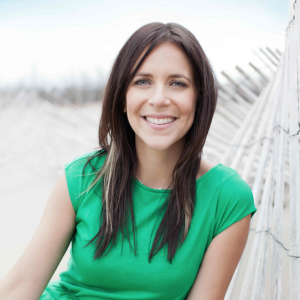 Rachel is a celebrated International Speaker, including TEDxToronto 2014, also she is a passionate blogger for the Huffington Post, and Guest Moderator and Youth mentor for the Jane Goodall Institute of Canada. 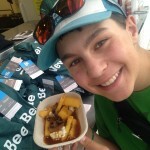 Ryan calls himself “Chief Eater and Food Enthusiast” of his blog, www.rysratings.com. He lives in Toronto with his family and claims to have good taste (no pun intended), and in his quest to eat healthy, organic, and local foods, he reviews and share all that he deems good! 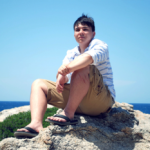 Ryan started his blog reviewing restaurants in 2008, when he was 8 years old. Now, he still review restaurants, he also shares his favourite products, chefs, food events and even farmers’ markets, mostly in Toronto, but includes his travels as well. He has created and delivered a food literacy game for young children and kindergarten classes and has written two books as school projects, and plans on creating more. Ryan expresses how fortunate he feels he is to be receiving lots of support from chefs and other bloggers who remind him of my responsibility to be positive and to try and have his work make people want to be connected to the food on their plates. 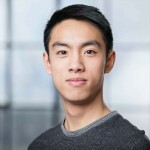 He enjoys public speaking and has had the great opportunity to present to various groups of kids and adults over the years. “Part of taste is feeling good about what you eat” is the message that Ryan shares most frequently with pride.